Cambridge Montessori Pre School is poised to create a learning environment for tiny tots which is based on internationally renowned Montessori philosophy propounded by Dr. Maria Montessori. 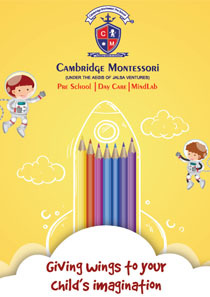 Cambridge Montessori offers one of the most profitable preschool franchises in India, growing its chains all over India. Cambridge Montessori Pre School and Daycare is obligated to ensure an environment of love, compassion and harmony developing critical thinking and making the child independent. This process is very well calibrated by sincerely involving international Montessori experts, well trained trainers and teachers as well as parents by a way of engagement in the overall development of children. 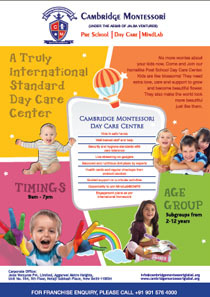 Cambridge Montessori Pre School and Daycare is dedicated to give best possible start to the kids’ school life. Become a part of establishing Cambridge Montessori Pre School and Daycare franchise in India. Join hands today and help us make preschool and daycare reachable to more children. 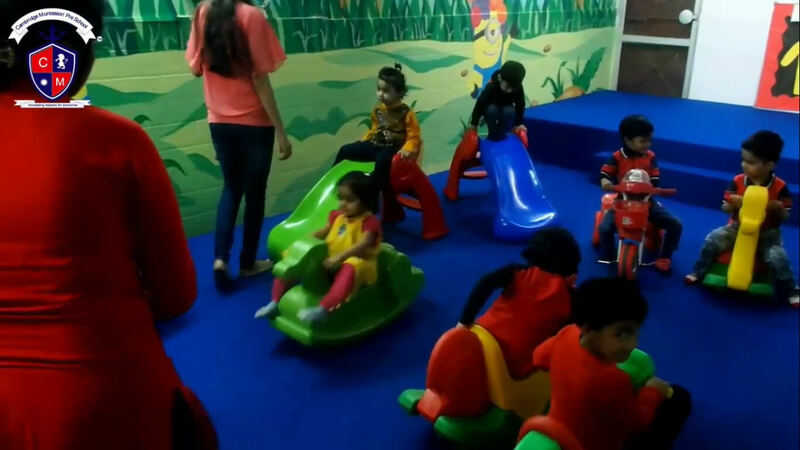 Cambridge Montessori Pre School and Daycare has developed an affordable model of preschool franchise in India on international level, requiring low investment for the establishment and functioning of the preschool franchise in India without compromising on the high quality learning for kids. You need to fulfill these requirements to become the proud owner of Cambridge Montessori Pre School Franchise in India. To qualify as a Cambridge Montessori Pre School and Daycare Franchise in India, you need to have a property with an area of at least 3000 sq. feet. An investment of 10 to 12 lakhs is required for Cambridge Montessori Pre School Franchise in India. To open a preschool franchise in India with Cambridge Montessori Pre School and Daycare in itself is a fruitful step to help you get recognized in the field of education. At Cambridge Montessori Pre School and Daycare, we believe in providing an all-round learning environment which will help the child to develop physically, cognitively, socially and emotionally. Owning a preschool franchise in India with us can therefore turn out to be a wise business decision. 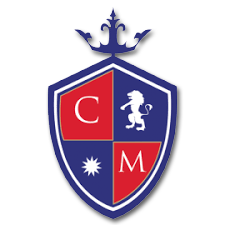 Cambridge Montessori Pre School and Daycare offers business with low investment and the investor will easily get 40% to 50% return on investment. A professional support provided by international council of Montessori experts, ensures guidance in your business operations and personal assistance in management and marketing by Cambridge Montessori Preschool and Daycare. 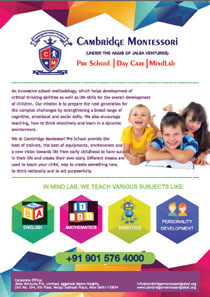 Cambridge Montessori is the most preferred brand for preschool franchise in India. So, become a franchise of a well established preschool and daycare and maximize your profits in the long run. We focus on 100% management on all the running preschools and schools. We offer best returns on investment in Cambridge Montessori Pre School. Most experienced management team in preschool industry. We focus on recruitment of best talent and provide teacher training also. We provide franchisees with school management software for training. We would be doing national level marketing activities but the local activities need to be undertaken by the concerned franchises. Join us as Partner in revolutionizing the preschool business in India.